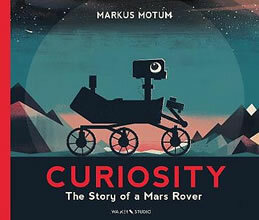 So far we have received 23 reviews of Curiosity: The Story of a Mars Rover . To write your own review of Curiosity: The Story of a Mars Rover and have it published on the website, just fill in the details below and click the "Send Review" button. Your review will then be added as soon as possible.